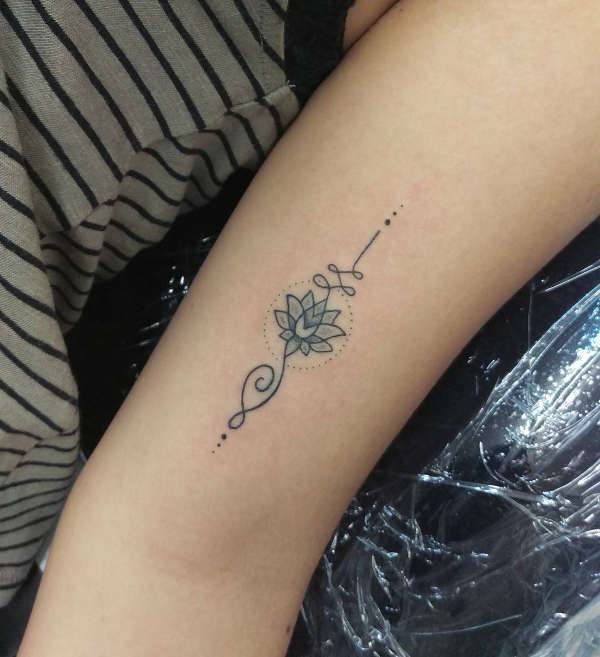 In this design the lotus flower has a beautiful design with delicate and clean lining as well as a great shading work. 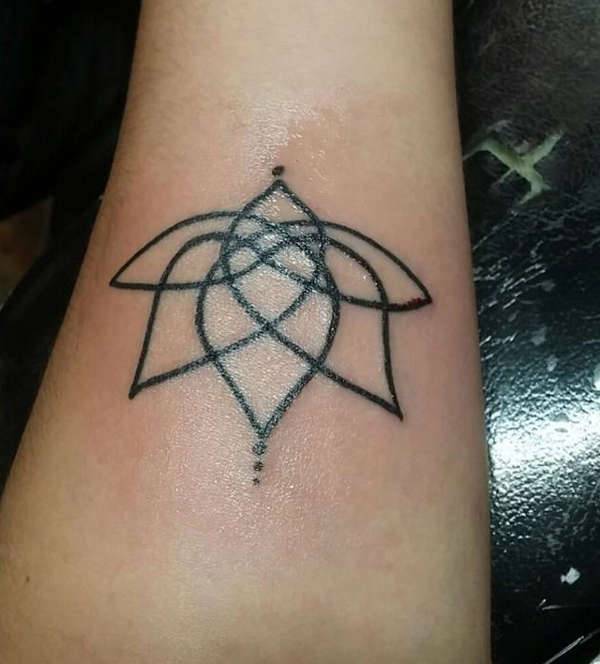 It can be inked in any body part while it will also look amazing in a colorful version. 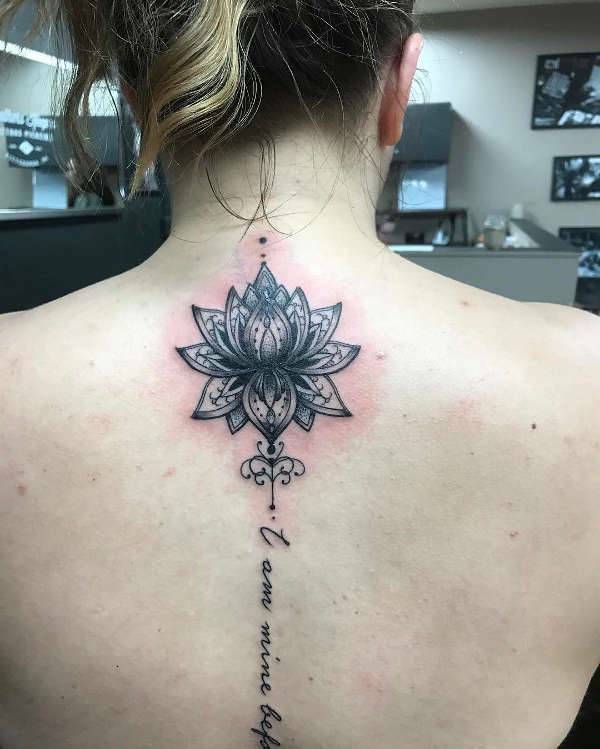 The shape of the lotus flower can give you incredible ideas for designs like this mandala tattoo. The detailed work of the flower petals with the swirls and the careful shading, create a beautiful design that complements your style. If you are looking for a simple yet delicate design then this one will give you exactly that. The simple structure of the flower has clean lines that bring a balanced look on the wrist for extra stylish looks. This design has a bold lining work. This can indicate the boldness of your character giving you a stylish piece. This design looks good on any skin tone and will make you feel empowered and confident for your choice. You can also go for a combination of lotus flowers creating a fantastic synthesis. These designs require more space and that makes them ideal for sleeves. 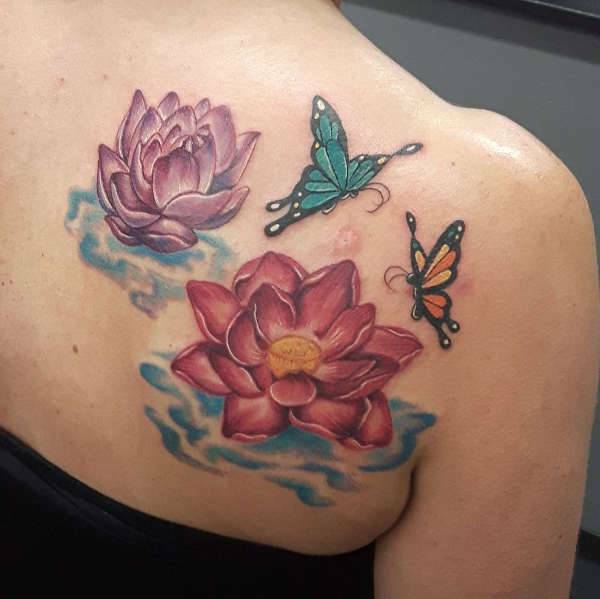 Because of their extended design they might take a couple sessions to complete. 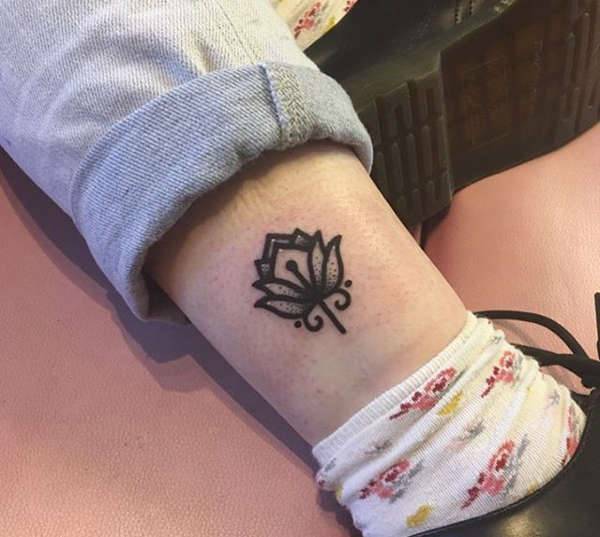 If you want a discreet design for your ankle then this one will give you the perfect choice. You can choose to leave it in this simple form, or you can choose to color it in minimalistic colors like white. 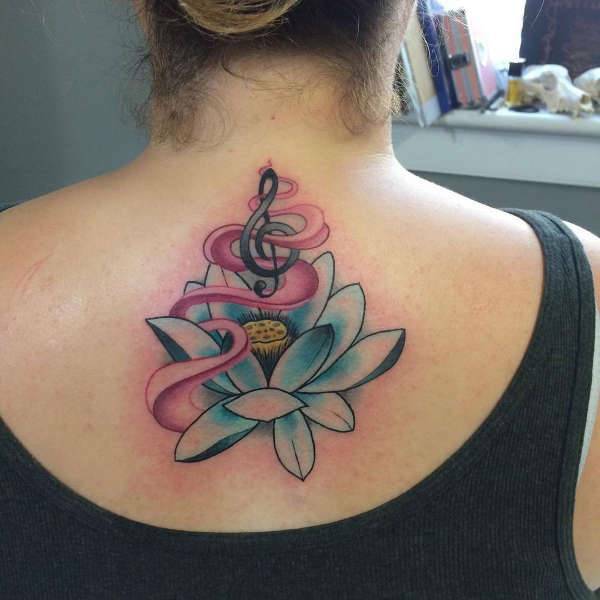 Combining popular designs can give you stunning tattoos. 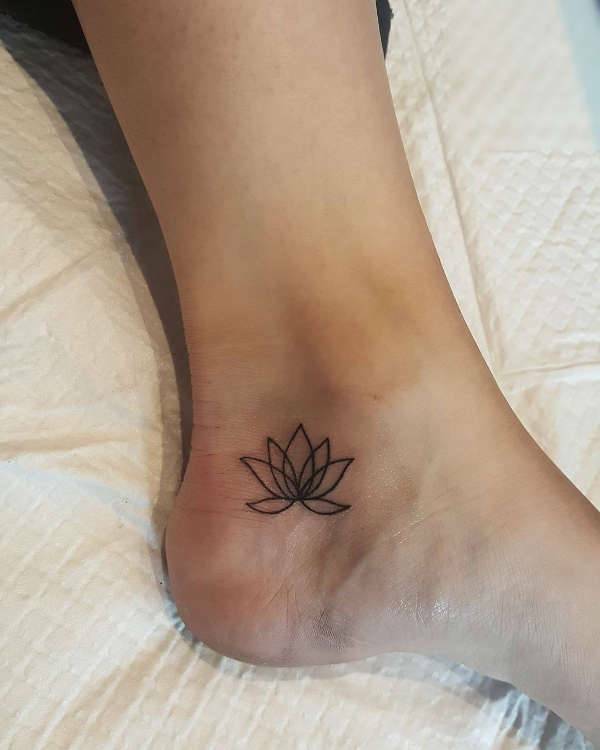 In this case the combination of the lotus flower with the Celtic design brings an ethnic look that creates a bold style while at the same time adds a minimalistic touch. You can add a feminine touch by adding swirls and other decorative elements. 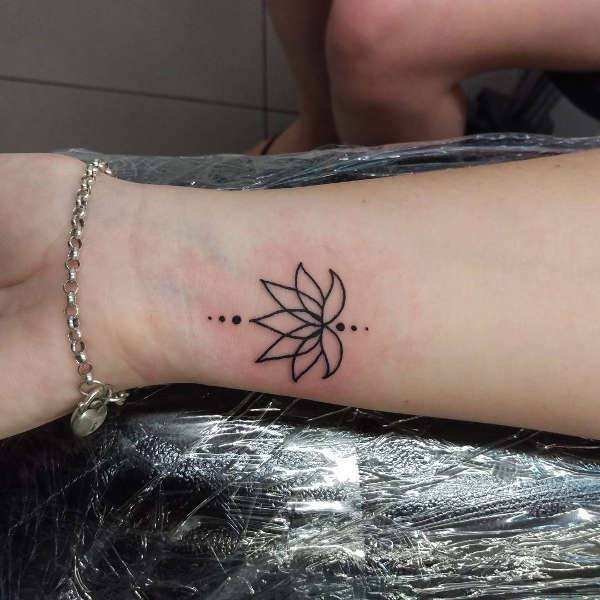 In this case the design consists of a stylish small lotus flower that is encased by a minimalistic circle and decorated with swirls above and below it. 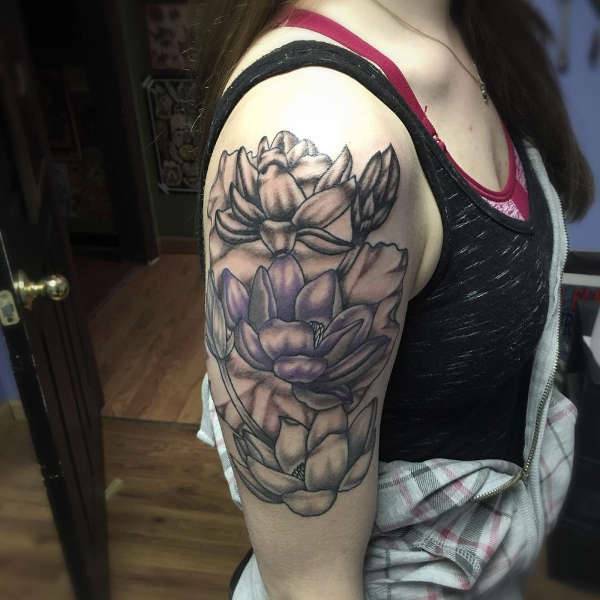 You can find many different ideas for new flower tattoo designs. 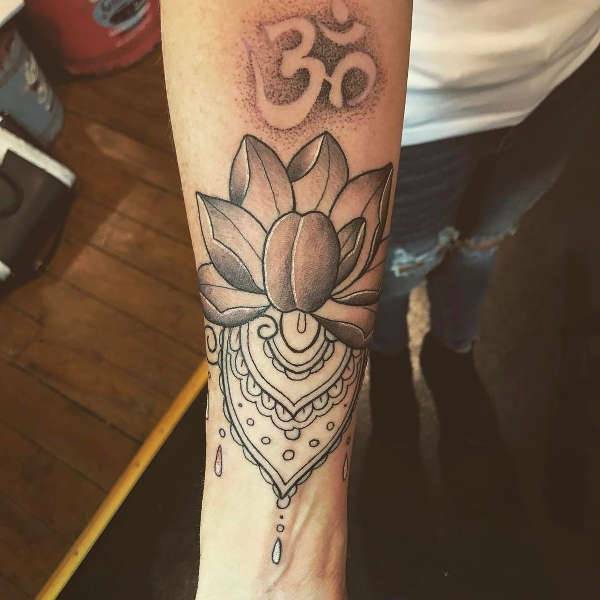 From black and white to minimalistic lines and from watercolor to sleeve tattoos, the list is truly endless. It is up to you to find the one that is fully compatible with your character and to make it yours.